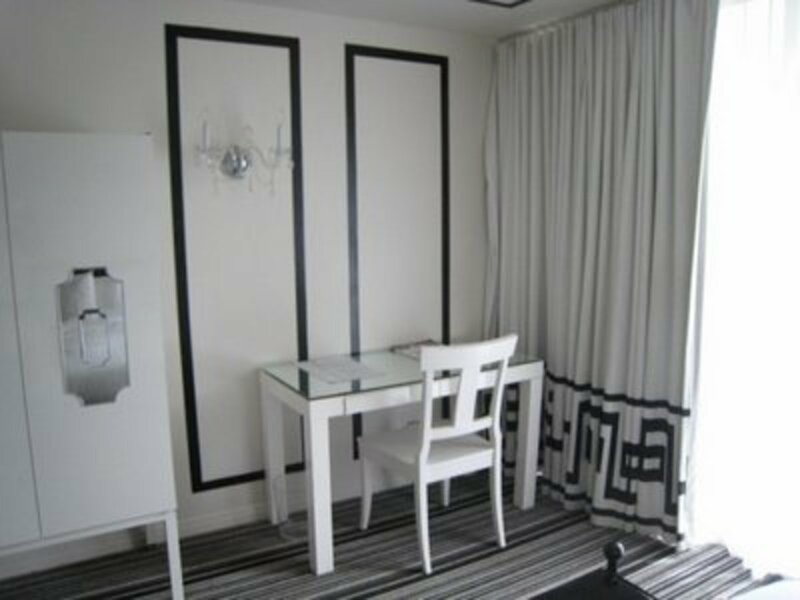 After staying at the luxuriously sleek Viceroy this past weekend, I&apos;ve become enamored with the idea of a monochromatic bedroom. Upon arrival, I thoroughly inspected all of the details of Kelly Wearstler&apos;s decorating and was thrilled to realize that they were exceedingly simple and quite applicable to my own place. 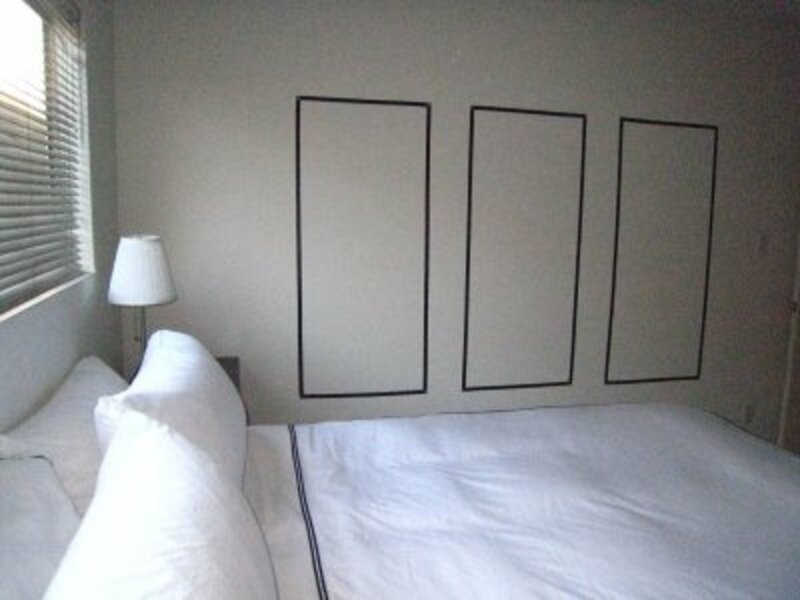 Since the hotel room itself lacked any structural elements to set it apart, large rectangles made from strips of black electrical tape on the wall added a sense of architecture. I decided to try the same with my shoebox shaped bedroom. 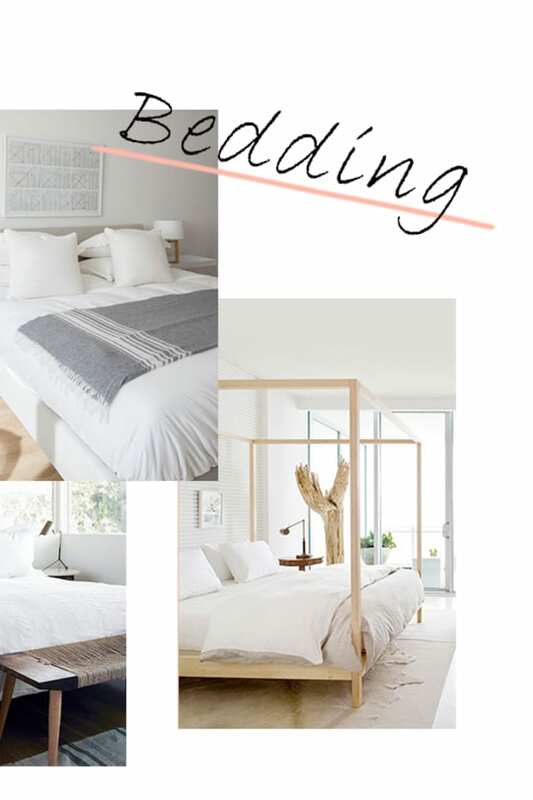 bedding that complements the minimalist decor perfectly. 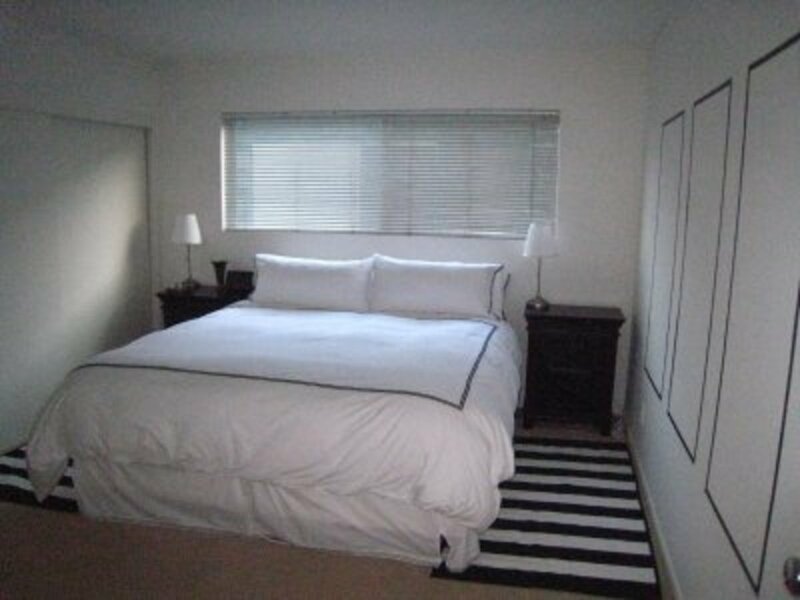 As a final touch, we hit up Ikea, and though we missed the free breakfast by mere minutes, we walked away with these two black and white striped runners that I placed on either side of the bed. The one glaring issue that still remains is what to do with the atrocious Venetian blinds that still hang over the bed. Should I fully embrace the neutral bedroom scheme or add some color in the window treatment?